Go ahead and get creative! 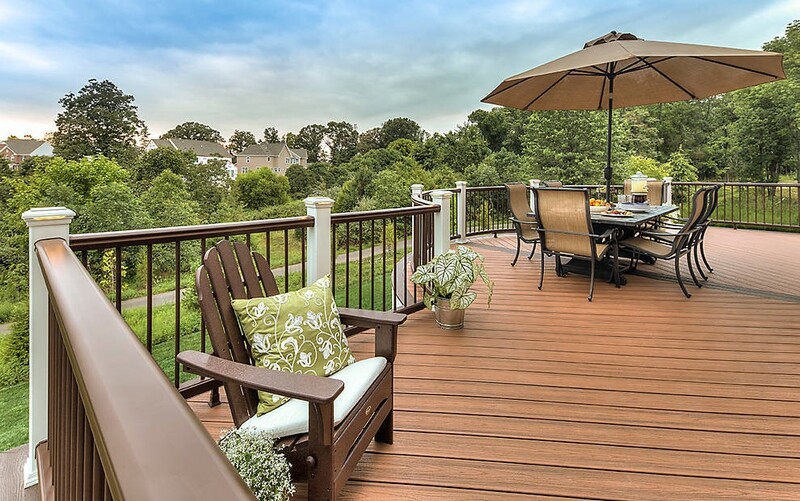 Trex deck railing systems allow you to mix and match different colors, finishes and materials, for limitless options. Whichever product you end up using, Trex will help make your outside living space the talk of the neighborhood. Trex’s highest-performance railing option offers more colors in more component profiles than any railing out there. Won’t rot, warp, peel or splinter (which trumps sanding row after row of wooden balusters any day) and it never needs painting or staining. Ever. Trex’s luxurious-yet-affordable railing offers an easy installation process that’s perfect for the DIYer. Singular top and bottom rail shapes and square balusters keep things tidy, and the Classic White color works with any deck design.